On May 20th we will have our annual "Field Day" to enjoy the outdoors, and celebrate good classroom behavior. 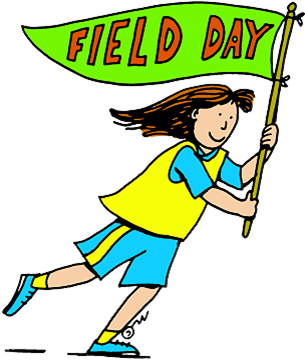 Field Day is a reward for ending the year on a good note. Coach has many exciting stations planned for Field Day this year. There will be an obstacle course, beach volleyball, tug-of-war, water bucket relay, sack races, "dizzy izzy" relay and everyone's favorite--the slip 'n slide! Concessions will be available again this year. All money raised from concessions will go toward P.E. the purchase of new P.E. equipment.